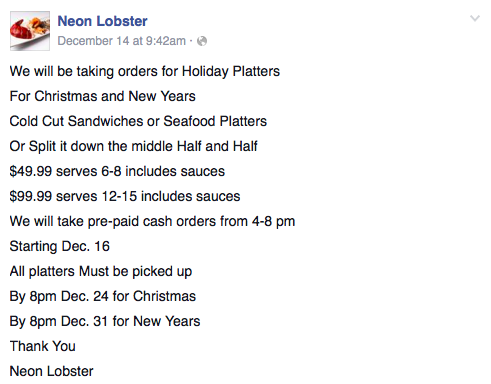 Neon Lobster, a gourmet Seafood takeout restaurant, opens at 2101 S. 3rd St, on the corner of 3rd St and Snyder. 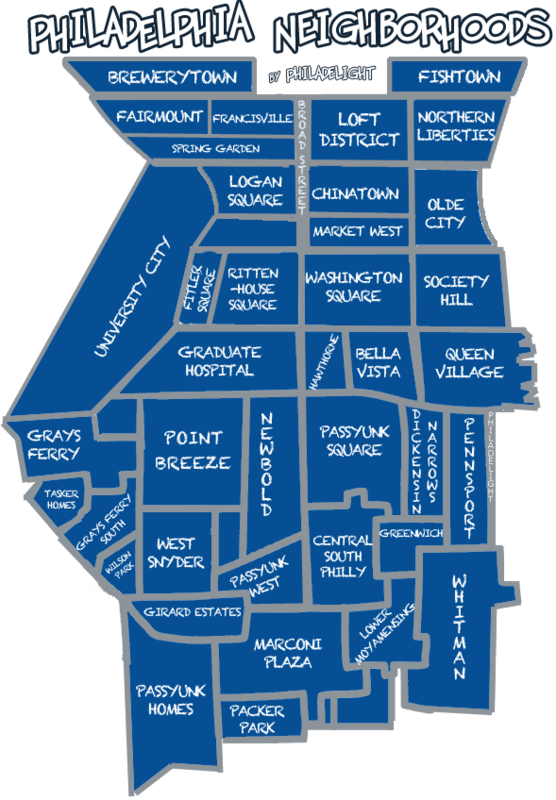 Neon Lobster stands at the boundary of the Pennsport and Whitman neighborhoods, technically belonging in the latter. Last we heard, Neon Lobster was finalizing renovations and serving a limited menu of breakfast and La Colombe coffee. The full menu has not yet been made available, but they are accepting orders for holiday platters.